Paperback, 8 x 10.75 in. / 96 pgs / 64 color / 10 bw. Edited with text by Bettina Ruhrberg. Text by Andreas Bee. Ren Ri (born 1984) works with live bees, creating beeswax sculptures and videos in a process of planned coincidence; one piece, Yuansu I (2007–11), features bees building maps out of honeycomb. 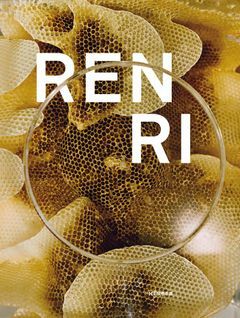 This monograph provides an overview of Ri’s works from 2007 to the present. FORMAT: Pbk, 8 x 10.75 in. / 96 pgs / 64 color / 10 b&w.